The Scorpio is a household name in the Indian car market since the year 2002; the SUV has many accolades to its name including ‘Best car of the year’, ‘Best SUV of the year’ and much more. While the first generation SUV was introduced back in 2002, the second generation was introduced just after four years in 2006. Much later Mahindra decided to up their game and introduced the third-generation SUV back in 2014. 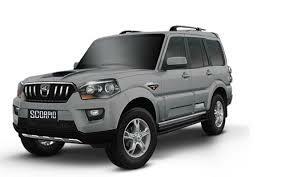 Now after almost three years of its production Mahindra has decided to launch the facelift variant of the SUV. With a completely reformed suspension setup, the ride and dynamics of the vehicle has gone up by several notches. Its potential to take uneven roads and potholes has also increased. The new dampeners come into effect when the vehicle goes through a rough patch and insulates the cabin from the entire disturbance. The difference in stability is also clearly evident.While taking corners at speeds of up to 100kmph, there is no body roll. It is only at higher triple digit speeds where one can feel an oversteer. To make night driving safer, there are static cornering lamps positioned behind the projector lights. These lights glow during taking turns thus illuminating critical points at night. They are very useful during pitch dark driving conditions. One thing that has changed is its straight line handling. The earlier version felt bouncy at higher speeds. Not that it has completely come down but has noticeably improved.In fact, we managed to drive it on great lengths of bad roads. The new suspension setup swallowed whatever we threw at it. The gear shifts were little sticky but nonetheless it still impressed us with its safe insulation. Even the in-cabin noise insulation is simply fantastic. The 2WD impressed us immensely. Airbags for driver and co-passenger are offered on S4+ onwards in the range missing out on the entry level variants. ABS with EBD and panic brake indication is also available on variants above the S4 trim. 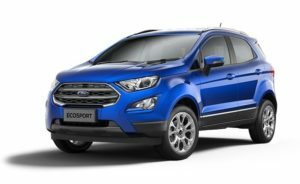 Other safety features aboard include collapsible steering column and side intrusion beams, digital immobiliser, anti-theft warning, seat belt reminder lamp, speed alert and auto door lock while driving. 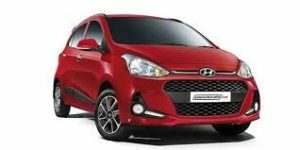 The Amaze is less than four metres long, its petrol engine displaces less than 1200cc and its diesel less than 1500cc, so it qualifies for the government’s excise benefit on small cars. There are lots of other small but significant features on the car that are a direct result of feedback from Indian customers too, so Honda does seem to have done its home-work. Priced from Rs 4.99 lakh (ex-showroom, Delhi) for the petrol and Rs 5.97 lakh for the all-too-important diesel, it is very competitive. There is definitely a lot riding on this car, so let’s see how well it fares on the road. Previously Honda was offering the Amaze with a 5-speed automatic transmission but the Japanese manufacturer has done away with this and has now slotted in a CVT transmission. This makes more sense as the CVT has infinite number of gear ratios making it more practical in most driving situations. We had a short spin in the CVT variant and it was quite easy navigating through peak hour Delhi traffic. However, it gets too noisy as you go higher up the rev band and progress isn’t brisk as you would get in a manual. The CVT version is more fuel efficient than its manual counterpart and produces 90 PS at 6000 RPM and 110 Nm torque at 4800 RPM. The ride quality in the Amaze is just about right. There is a bit of body roll, but the suspension is overall tuned to handle city roads. 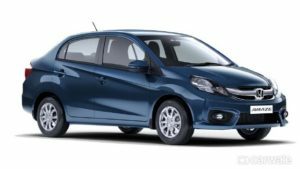 Compared to the Brio, though similar, the suspension set up at the front and the rear have been tweaked in the Amaze to handle the increased weight. We can’t expect this entry-sedan to compete with the likes of its bigger sibling – the City – in this department. But, compared to similar sedans the Amaze manages to make the cut. 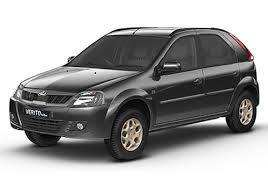 The bulkier Swift DZire may just be a bit more agile than the Amaze. But that could change by the time the car makes it here. My test car came with 14-inch wheels and 175 / 65 R14 MRF radials. The final trim levels may include 15-inch rims too. The steering felt well weighted and wasn’t unusually light or oriented towards being over-assistive. Though it was difficult to test the car at high speeds on the short track with a speed limit also being enforced, there were a few corners where the steering’s abilities could be tried out and I liked the fact that I could direct the car precisely. The Amaze has been one of the top sellers from Honda off late and the trend is bound to continue for the time to come. The Amaze is a practical compact sedan which delivers on almost every front, be it interior space, performance or fuel economy. The potent diesel engine also happens to be the most powerful in its segment. What the Amaze lacks is some additional equipment like Bluetooth connectivity, climate control, etc., most of which is standard in its latest Korean rival. However, the Amaze is quite involving to drive and the Honda badge does carry hefty brand value making it an option seriously worth considering, if you are looking to buy a compact sedan. 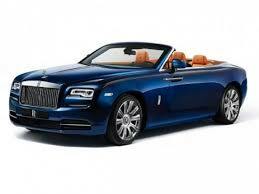 The Rolls-Royce Dawn is the newest convertible to be added to the illustrious list of Rolls Royce cars in India. The four-seater convertible will only be the second RR convertible in the country after the Rolls-Royce Phantom Drophead Coupe. At its price point, the Dawn is almost twice as expensive as its closest competitor – the Bentley Continental GTC. Rolls Royce Dawn images and the Dawn itself reveal that it is based on the Wraith Coupe, its bodywork is 80% new. In fact the car carries forward only the doors and grille of the car on which it’s based. The car has a long hood and short rear overhang and yet looks proportionate. With Parthenon grille and the Spirit of Ecstasy remain the most noticeable features of the car. The Dawn is over five meter long, 5285mm to be precise and 1947mm wide and has a wheelbase of 3112mm. At 2560kg it weight about 200kg more than the Wraith. It is no less than a piece of exquisite art. Rolls Royce Dawn colors can be had in any different shades as per the customization required. Like the exterior, the interior benefits from everything available with the Wraith, except for the Starlight Headliner and its 1,340 individual lights woven into the roof liner. Highlights include acres of wood — it features the largest contiguous portions of wood in any production car — and fine leather, wool carpets, and a wide array of upholstery colors and customization options.Rear legroom is generous inside the Dawn, which, according to Rolls-Royce, is not a 2+2, but a veritable four-seater.“In the world of Rolls-Royce, day to day mathematical norms don’t always apply. That’s why I say in the case of the new Rolls-Royce Dawn, 2+2 does not equal 4,” said Rolls-Royce director of design, Giles Taylor. “The idea of creating a car like Dawn that can be used in comfort by only two adults on a day to day basis is anathema. In creating Dawn we have accepted no compromise to the comfort and luxury of four adults who want to travel together in the pinnacle of style.”All told, the Dawn is the most opulent convertible in this niche and its interior look more like a luxury yacht’s than a car. Technology-wise, it’s also identical to the Wraith and features the BMW iDrive-based infotainment and navigation systems. Not surprisingly, Rolls-Royce dropped the same 6.6-liter V-12 found in the Wraith under the Dawn’s hood. However, the Dawn is motivated by a Ghost-spec unit, which means output sits at 563 horsepower and 575 pound-feet of torque, making the drop-top significantly less powerful than its coupe sibling. For reference, the Wraith comes with 624 horses and 590 pound-feet of twist on tap.The power is routed to the wheels by the same ZF-built, eight-speed automatic, pushing the Dawn from 0 to 62 mph in 4.9 seconds. Though it represents a half-second drop compared to the Wraith, it’s still impressive for a vehicle than tips the scales at 5,644 pounds. As usual, top speed is electronically limited at 155 mph. We haven’t driven a Dawn yet, but we don’t expect it to be much different from its fixed-roof cousin, the Wraith. That car combines an endlessly powerful V12 with a ride so sublime that anything else feels like a Lotus Elise traversing a dry creek bed. The Wraith makes even your Bentley-owning friends marvel at the pin-drop quiet inside the cabin. The only thing you’ll hear is the omnipresent 18-speaker Bespoke Audio system that massages your eardrums as Franz Liszt gently coaxes you onward. Rolls-Royce keeps safety in mind with the Driver Assistance 3 package that includes active cruise control, night vision, a head-up display, high-beam assistance, and a lane departure warning system. Active cruise control maintains a selectable distance to the vehicle ahead while cruise control is activated, and night vision adds an infrared camera that can detect pedestrians in low-light conditions at distances up to 1,000 feet. The camera system on the Dawn provides an almost 360-degree view around the vehicle with distance indicators. Price at 6.25 crores (ex-showroom), it is certainly not the most affordable car in the world, but it’s not made for that. It’s built for a purpose. The purpose is to deliver Rolls Royce experience. The lucky owners can thank the Goodwood England for such machines. BMW is a German automobile, motorcycle and engine manufacturing company. The BMW M3 is one of the latest high-performance versions of the BMW 3-Series, developed by BMW’s motorsport division, BMW M. M3 models have been sold all over the world in three body styles: Coupe,Saloon and Convertible. The BMW M3 is the most successful car in touring and grand touring ever, being the only car to have earned titles more than Porsche 911 in Motorsport. The early E30 M3 model was a sports car advertised and campaigned by many companies including Prodrive and AC Schnitzer. The M3 is unique and differs from remaining E30 models in many ways. It is one of the longest running models, having started production in 1985. The previous M3 coupe was produced in Germany in July 2013, but the M3 name will remain in use for the saloon version. The exterior is beautifully BMW. It’s a solid evolution in the 3-Series line that will certainly age well. 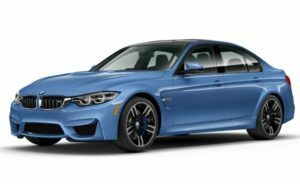 The look is certainly one of understated aggression that combines the calm demeanor of a normal car with the menacing snarl of a true M3.Four real doors with useable interior space means the M3 can accommodate three friends on the ride of their lives. The pictures, however, speak for themselves.Looking deeper, we see many exterior additions to the M3 the standard 3-Seriessimply lacks. A huge front apron, smooth underbelly, and Gurney rear spoiler keep the air moving properly around the car. Downforce is also a key reason for the exterior accoutrements. Past the front grille, air is purposefully directed beyond mere cooling reasons. Air is channeled through the engine oil cooler and creates a Venturi effect that reduces front axle lift, which in turn, improves steering.Twin-stalk style side mirrors and integrated air breathers (the vertical M gills) reward of the front wheels help move air round the car without creating turbulence or drag. Cabin features cloth/leather combination carbon structure anthracite black upholstery available as standard. Two-zone automatic air conditioner with extended contents and active carbon microfilter is fitted to maintain temperature in the cabin. Ambient light with mood lights educe elegance. Interior mirrors come with anti-dazzle function for the ease of driver while driving at night.. Multifucntion M leather steering wheel with gear shift paddles allows hassle free driving. M carbon made roof renders toughness. M Sport bucket seats are affixed for Driver and co-passenger. Rear gets electrically adjustable roller blinds which can also be used manually. For a further snugger experience, BMW has equipped electrically adjustable seats with memory function and lumbar support for driver as well as co-passenger. Adjustable seat backrests are fitted for the convenience of the passengers. From the BMW connectdrive, M3 features slew of equipment such as BMW Apps, Bluetooth with handsfree and USB connectivity with audio streaming, iDrive touch controller with 22.35 cm colour screen displaywith 1280 X 480 pixels resolution, DVD drive and integrated hard drive for maps and audio files. Besides, a navigation system professional with 3D maps, park distance control in front and rear, rear view camera, BMW head-up display with M views are among other significant features aboard. The BMW M3 is powered by a 3.0-litre engine putting out 431 horses at 5500 RPM and 550 Nm of twist at 1850 RPM. The powerplant is a twin turbo inline-6 unit, sending power to the rear wheels. BMW has matched the engine to a 7-speed gearbox which is quick enough to get the car running from 0 to 100 km/hr in 4.1 seconds. The throttle is very responsive and the M3 gains pace the moment you start pressing the pedal. At city speeds, the M3 is easy to drive and turbo lag is almost negligible. Thanks to the not-so-large size of the sedan, it is easy to close gaps in traffic without much fuss and the engine and gearbox work in great tandem. After dodging Mumbai’s irritating traffic for well over an hour, we finally landed on a completely open stretch of tarmac and it was time to let loose. Stomped the accelerator and the M3 picked up triple digit speeds in no time and soon enough we were itching towards the 200 km/hr mark. What’s remarkable is how seamlessly the car makes you believe that you’re doing speeds much lesser than what the speedo is showing! However, such a car is more enjoyable with the steering mounted paddle-shifters which are a JOY to use. You can also shift gears via the gear lever which slots into S mode allowing you to shift cogs manually. You also get the usual driving modes to choose from – Comfort, Sport, Sport+, Individual, etc. We were driving on Sport for most of time where the steering and suspension get nicely stiffened up. In Sport+, the issue is that the suspension becomes so hard that the car starts feeling very bouncy, especially on our uneven roads. The 7-speed gearbox does a very good job and is quick enough. The engine loves to be revved all the way to its 7500 RPM redline and the exhaust note is also pure music to the ears. If you’re in the mood for cruising, the M3 will manage 100 km/hr in top gear at 1800 RPM. The M3 is the kind of car you get into and instantaneously feel like you belong there. Dumb the throttle maps and the gearbox to its least alert setting and the M3 is no more difficult to drive in traffic than a 3 Series. The ergonomics are spot on and the car just feels so well wrapped around you to negotiate traffic. The engine purrs lightly and the exhaust stays quiet as you amble around town. Keep the suspension in Comfort mode even if you are stepping on the gas when you are hustling your way through because Sport mode requires a silky smooth surface. Don’t even bother with Sport Plus. The steering too offers three settings like the suspension. Sport Plus is direct and precise and painful over a period of time. The Sport setting keeps it just perfect but you could lighten up responses in Comfort for most of the time. In addition to these settings for the gearbox, throttle map, steering and suspension, you get M Dynamic mode. Driving dynamics is the M3’s USP and keeping all the systems on, you will enjoy a really fast M car carving up corners faster than a RWD sportscar is meant to. But it’s as much about fun as it is about being fast. The M3’s active M differential ensures that, with the DSC either turned completely off or in M Dynamic mode you can flatter the drifter in you. The latter is the friendlier one for the enthusiast with a little less skill to catch that powerslide. The DSC allows some slip, intervenes when the slip turns closer to a spin and could be good fun on a winding road. The grip from the Michelins is as good as they come and the brakes are progressive and offer carnivorous bite on a hearty meal of tarmac. The 2017 BMW M3 comes standard with antilock brakes, traction and stability control, front side airbags, side curtain airbags and front knee airbags.The stability control system integrates several features designed to improve braking performance, such as self-drying brake rotors (when the windshield wipers are in use) and automatic brake-pad preparation (when the driver abruptly lifts off the gas). BMW Assist emergency communications is standard and includes automatic crash notification, stolen vehicle recovery and on-demand roadside assistance.Optional safety features include a surround-view camera system, front and rear parking sensors, blind-spot monitoring, lane departure warning, and a forward collision mitigation system with automatic emergency braking. BMW’s M3 saloon is a performer, the powerful engine lying underneath is capable of pulling off terrific numbers. Exterior styling is in line with rest of the Beemers, it carries BMW’s signature styling rendering it an assertive semblance. Cabin is spacious and what makes it special is number of luxury gadget infixed. What can deviate you from this car is a high price tag and a continual demand for feeding the car with fuel as it does not offer impressive mileage. Keeping this apart, M3 saloon is for you if you look out for performance on road. The world of cars seems to have come full circle. Not in terms of sales or the options available, but every single car that has grown over the decades to a size above now needs another model below it that is of the original size of that car. Premium manufacturers are also discovering a market in a size and price bracket below their traditional customers – this works out well for them, as these products are projected as an additional fuel-efficient model for the family in developed markets, and an easier step up to luxury in developing markets. Enter the Audi A3, which will be the easiest access to a premium luxury sedan when it launches. 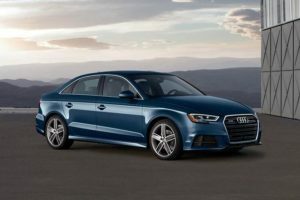 The 2017 Audi A3 is a facelift and it gets certain upgrades and new elements on the design front. While most of the car remains the same, there are few tweaks that enhance its appeal. To start with , the 2017 Audi A3 now gets a new front grille, which Audi calls ‘diamond inspired’. This grille is now wider and looks more premium as well. The car gets sharper lies this time. The headlamps are also new and have a cut on the lower portion that give it a dynamic look. It also gets aggressive looking front and rear bumpers. The 2017 Audi A3 also gets new sporty looking 16-inch alloy wheels . The car also sees new taillamps which are 3 dimensional and have dynamic indicators. There is a rear spoiler which is integrated in the boot.The 2017 Audi A3 has got looks similar to a fastback and has a coupe like roof which slopes downwards. When you look at it, the A3’s cabin seems a little conservative, especially after the boldly styled interiors of its arch rival – the Mercedes CLA. Nonetheless, the interior remains thoroughly premium, with lovely black textures, plush leather and good quality materials. Audi has retained the all-black wraparound dash design with horizontal lines which heighten the sense of width. Given that it’s a facelift, Audi hasn’t made any upgrades when it comes to seat comfort or interior packaging. As a result, the 2017 model is just as driver-oriented as the outgoing car. Upfront there is more than enough shoulder support and good cushioning. The under thigh support, too, is commendable. Like the outgoing model, this new A3 falls short of being a proper chauffeur driven premium car. While the rear seat itself is well layered with good contours for two adults, there isn’t much legroom on offer. That said the A3 beats the Mercedes CLA which is worse still and feels claustrophobic at the rear because of its tiny rear windows and huge front seatbacks. For 2017 Audi has introduced wireless phone charging function and full LED headlights as all-new features. Meanwhile, the top-spec variants also get dual-zone climate control, leather upholstery, panoramic sunroof, front and rear parking sensors and a 7-inch retractable screen for the MMI infotainment system. Features like start/stop button and keyless entry, however, have been given a miss. This car uses a pair of familiar four-cylinder engines that can be found in a number of VW Group cars that are on sale in India, although thanks to Audi’s new performance-based model naming structure, they’re known in these forms as the 35 TDI and the 40 TFSI. The 35 TDI is just the 2.0 TDI producing 141bhp and 32.63kgm of torque, both very healthy figures for a car of this size and weight. As with most of the other cars that use this motor, in the A3, it’s mated to a six-speed dual-clutch gearbox, though surprisingly, gearshift paddles have been left off the spec sheet; in a car for the self-driven, it’s a desirable option to have. As ever, this engine’s biggest strength is its chunky mid-range and the gearbox does a good job of sensing when you need it the most. The ’box also works well to get you through the slight turbo lag, and it’s very happy to hop straight to sixth and sit there when you’re cruising on the highway. The A3 TDI managed to crack an impressive 8.97sec from 0-100 in our tests, which is quicker than both the BMW 1-series and Merc A-class diesels, incidentally. And not surprisingly, with that mid-range torque, kickdown times are a quick 5.46sec and 7.14sec for 20-80kph and 40-100kph respectively. But then you drive the 40 TFSI, and it’s even quicker, crossing 100kph in 8.21sec, and despatching 20-80kph in 4.88sec and 40-100kph in 5.63sec in kickdown mode. Yes, it’s the same 1.8-litre turbo-petrol engine that we know and love, and this is undoubtedly its best iteration yet. It churns out a creamy 177bhp and 25.5kgm, and despite being turbocharged, it simply loves to be revved. Power delivery is smooth and effortless, and so strong is the performance, you wonder if there’s any need for the latest crop of dedicated performance-oriented four-cylinder compact luxury cars. There’s a little hesitation at low revs, but it’s masked superbly by the wonderful seven-speed dual-clutch gearbox. And while the TDI can sound a little clattery, this one is beautifully silent. A lot is expected from Audi when it comes to driver involvement and the Germans are the masters of that but does this baby Audi drive like the others? Well, the answer is no. Blame it entirely on the new platform, the A3 is simply terrific to drive, a touch above the other Audi’s which are pretty good in their own regard. The electromechanical steering is light at low speeds and weighs up beautifully as the kms pile up. Handling is razor sharp and the A3 will corner with super precision, it will encourage you to push even harder. It loves taking corners hard and you have to appreciate how the light weight chassis offers terrific balance. The A3 also gets ‘Electronic Stabilisation Control’ (ESC) with ‘Electronic Limited Slip Differential’ as standard. High speed stability is very good too and inside the cabin, the speeds seem much slower than they actually are. The A3 is aimed at a buyer who will himself take to the wheel and the driver involvement the car offers will seal the deal for most who like to push their car to the limit. With superb handling on offer, one would expect the ride quality to be stiff but that’s not the case here. In spite of the low profile rubber, ride quality is fantastic. Both at slow and high speed, the ride remains pliant and both front and rear passengers are engulfed in comfort. The light weight chassis and four-link rear suspension is hugely responsible for the same. The brakes offer good stopping power (all 4 discs) and our test was was shod on 225/45/17 Pirelli Cinturato tyres which offer phenomenal levels of grip. Even on wet surfaces, braking is spot on with no brake fade. Well, the A3 surely makes a great case for itself. It is much better equipped than its rival, the Mercedes-Benz CLA (read review here), it rides really well and that petrol engine raises the bar of what you should expect from the segment. The only complain with the car would be the design. It is a tad too understated and Audi’s target market, the young professionals of India generally prefer a more flamboyant design. And that is where the CLA has a slight advantage *cough* frameless windows *cough*. However, with the customers now deviating to petrol engines (the A4 petrol has been outselling the diesel by a huge margin), Audi’s 1.4 with its responsive nature, refinement levels and frugality, 19.2kmpl compared to CLA’s 15.9kmpl, could tip the scales in Audi’s favour. All that remains to be seen now is the pricing which we expect to be between Rs 25-30 lakh.